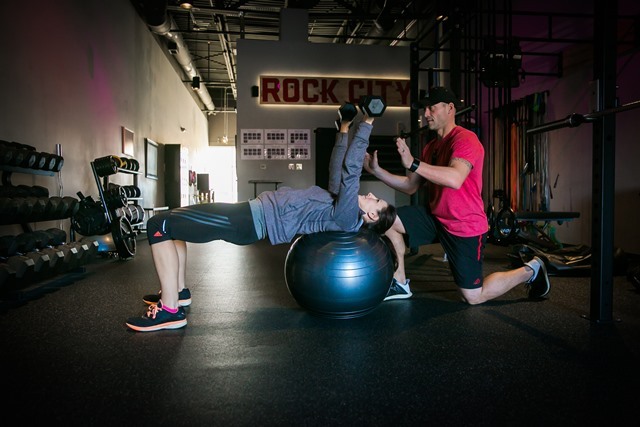 ROCK CITY FITNESS offers two training formats: 1 on 1 and group training. Our training programs provide the perfect fitness solution for every need, preference and budget. 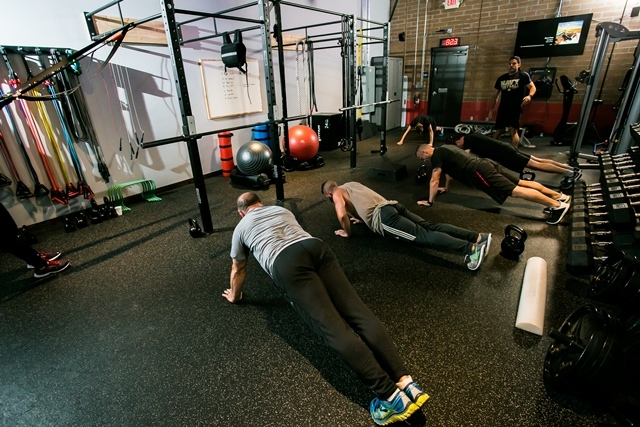 Group training is a great option for those who are looking for max affordability and awesome motivation. 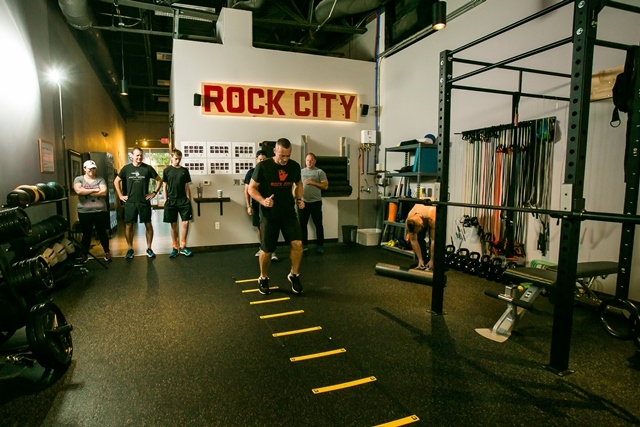 Rock City Fitness offers four choices of group training formats: Rocket, Rev, Strong and FAST. 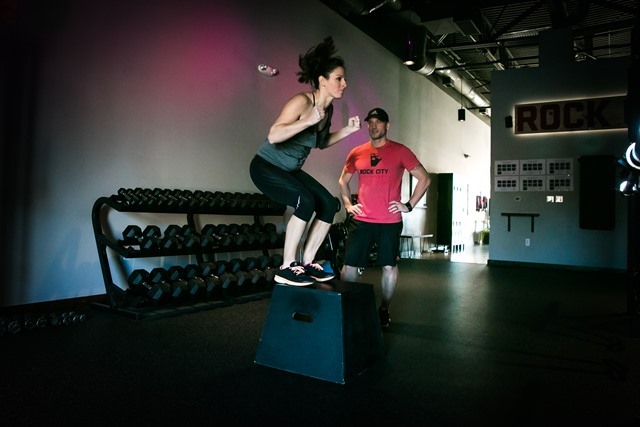 Rocket is multi-level timed circuit training. 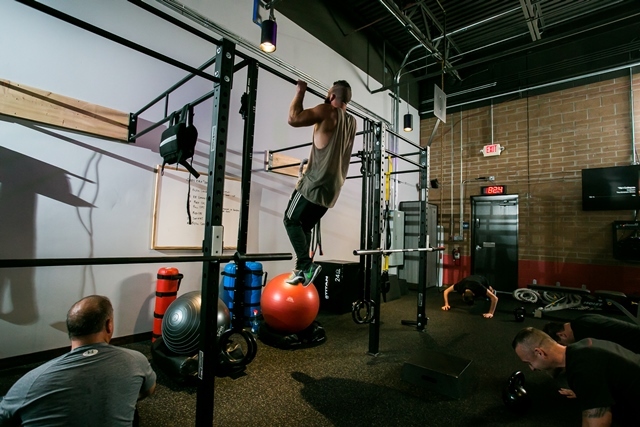 Rev is more advanced rounds and reps based total body conditioning. Strong multi-level is sets and reps based resistance training. And FAST is high intensity WOD training. 1 on 1 training offers the most personal experience, with exercise and nutrition programs tailored to your specific goals. We offer four unique 1 on 1 training plans: Restore, Transform, Flex and Max. Our 1 on 1 training programs are designed to be used stand alone or in conjunction with each other to further customize the training experience and achieve additional goals. 1 on 1 training programs are offered as private (1 client) or semi-private (2-4 clients). Training sessions are scheduled individually by appointment and last 45 minutes. This plan is designed for weight loss, improved body composition and appearance transformation. This plan helps create a healthy new lifestyle and is sensitive to your experience, health considerations, and fitness level. We use a stage training process developed specifically for weight management clients. Transform will help you improve overall health, energy, strength, endurance and confidence. We can help you create a new you, inside and out! Clients will work with a both a personal trainer and nutrition/lifestyle coach. Clients will also learn to utilize current technology tools and nutritional supplements specific to their goals. This plan is designed to restore overall function and physical conditioning. This plan is perfect if it's been a while since you've had a regular exercise program or you are transitioning from physical therapy. Or maybe you are just feeling some aches and pains or a lack of energy. This workout plan gets you off the "sidelines" and into the action. Restore emphasizes improving energy, endurance, flexibility, muscle balance, core stability, posture and coordination. Clients will also learn to utilize current technology tools and nutritional supplements specific to their goals. This plan is designed for the client with intermediate experience and wants to get in better shape. 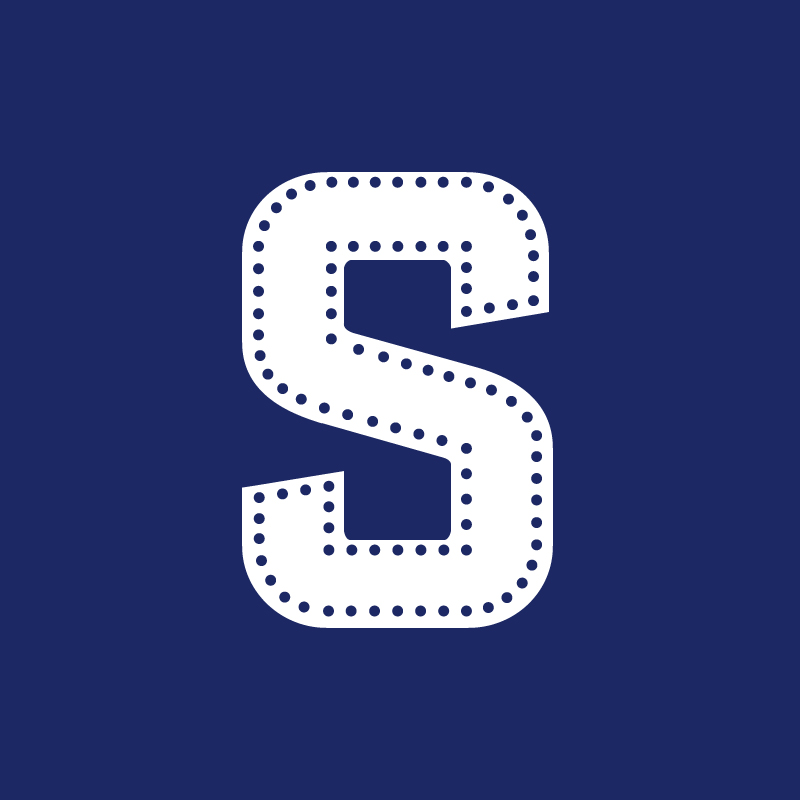 This plan can also help you get ready for a special event such as a 10k or wedding. 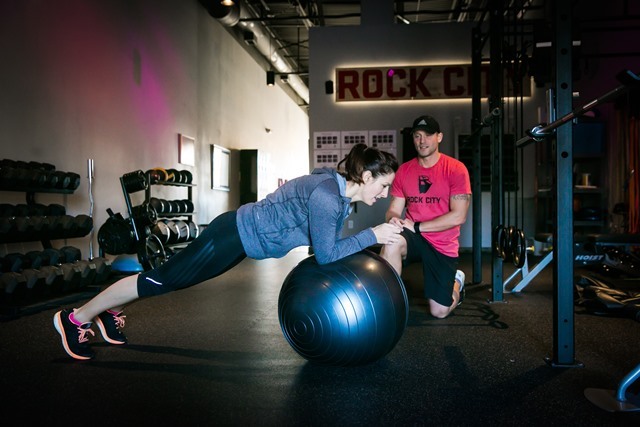 It's great for clients who need extra motivation and accountability to stay on track with fitness goals. 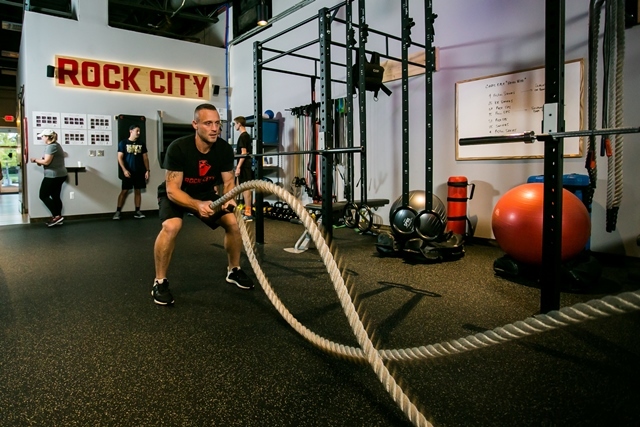 Flex is a classic fitness training plan with a unique Rock City Fitness edge. This plan emphasizes core strength, building muscle, increasing strength, burning body fat and cardiovascular fitness. Clients will also learn to utilize current technology tools and nutritional supplements specific to their goals. This plan is designed for the more experienced client who wants to take their training to a whole new level. This plan is perfect for amateur and professional athletes or the serious weekend warrior. It's also great training to prepare for physical readiness testing, obstacle course racing or longer road races such as a marathon. 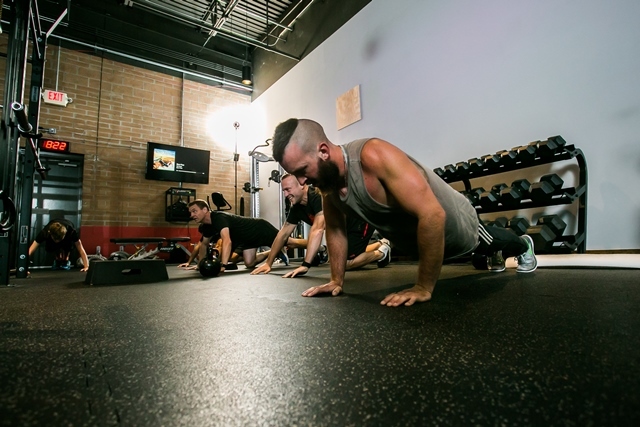 Max will help you achieve top level fitness and performance. This plan emphasizes speed, agility, quickness, muscle power, total body strength, and high intensity interval training. Clients will also learn to utilize current technology tools and nutritional supplements specific to their goals. Comprehensive fitness evaluation designed to benchmark starting fitness level and track progress. 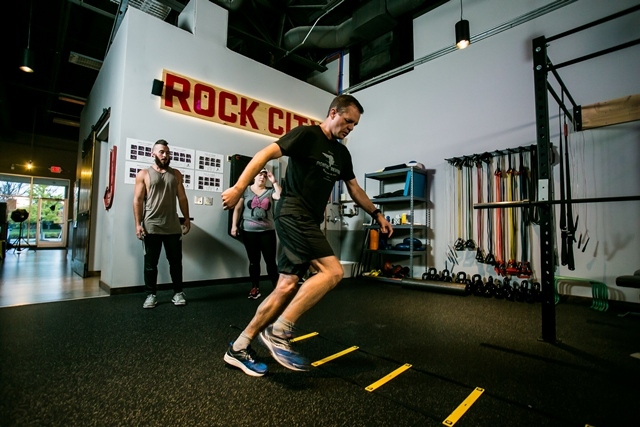 This service includes biomechanical testing, body composition measurement, body age, metabolism calculations and tests for muscle endurance, strength, power and flexibility. The results are calculated, reviewed and then personal recommendations for an exercise and nutrition plan are made. Note: Performance fitness testing is available to evaluate athletes and/or those with athletic goals. Online coaching is a great option for clients who want an affordable personal training experience but prefer to exercise at home or at another gym. Online coaching can also be added to any 1 on 1 or group training program to increase trainer exposure and guidance. 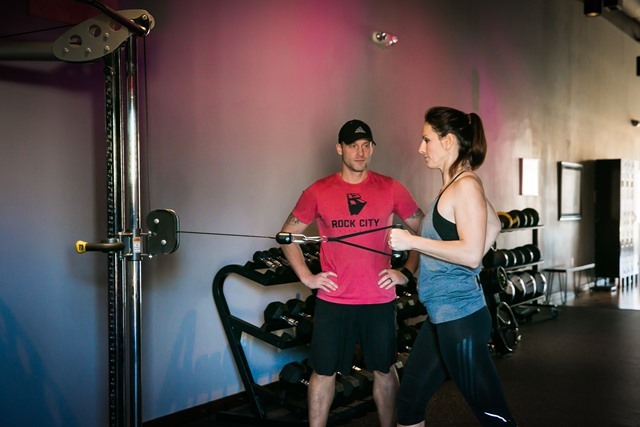 This training program features custom Rock City Fitness-designed programs that are shared with clients via email or a cloud-based drive. Program will include goal setting, fitness evaluation, nutrition coaching, training calendar, equipment and technology recommendations, strength and cardiovascular training workouts and video instructions and demonstrations. Click the class type for a full description. Please email info@rockcityfitness.com for more information.